Bob Marley taught us not to worry about a thing. Unfortunately, his heirs and relatives did not learn. UltraTrust.com explains how one of the most complex probate cases in history could have been avoided. At no time would Marley have acknowledged mortality with an irrevocable trust, and he would have avoided the endless probate, copyright and estate court battles we see today. According to a 2012 Forbes article on this contested estate, the Rastafarian view of death and the afterlife precluded Marley from estate planning (6). This is a faith that does not acknowledge mortality and does not observe the moment of death with funeral rites. In the Rastafarian belief, life is eternal and reincarnation is imminent (5). 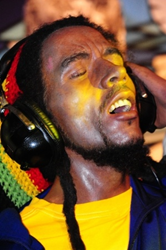 “Marley did not leave a will for religious reasons,” explains Mr. Beatrice, “he was right about celebrating eternal life through his music, but he inadvertently created a lengthy probate mess that is bound to continue for many decades. This could have been avoided with an irrevocable trust in the proper jurisdiction.” A 2011 report by the Jamaica Gleaner on the initial and questionable administration of the Marley estate by his widow Rita and the Mutual Security Trust Company Ltd confirmed that Rastafarians do not leave wills (7). Among those who have petitioned the court for a piece of the Marley estate are his widow Rita, his dozen children, assorted grandchildren, long-lost relatives, band mates, musicians, business associates, and flimflam artists (6). All this animosity runs counter to Marley's teachings of peace, unity and social justice; after all, this is a man who was awarded the United Nations Medal of Peace in 1978. “All these legal disputes would have certainly seem trifling to Marley; the thing is, they could have been prevented with estate planning that respected his spiritual worldview,” explains Mr. Beatrice.